BOOKED Italian Voice Over with Animated Storyboard for a GSK’s whooping cough demo. Alice had the pleasure of teaching an intensive workshop of Commedia dell’Arte at Joanne’s Performing Arts Camp in Hudson Valley. 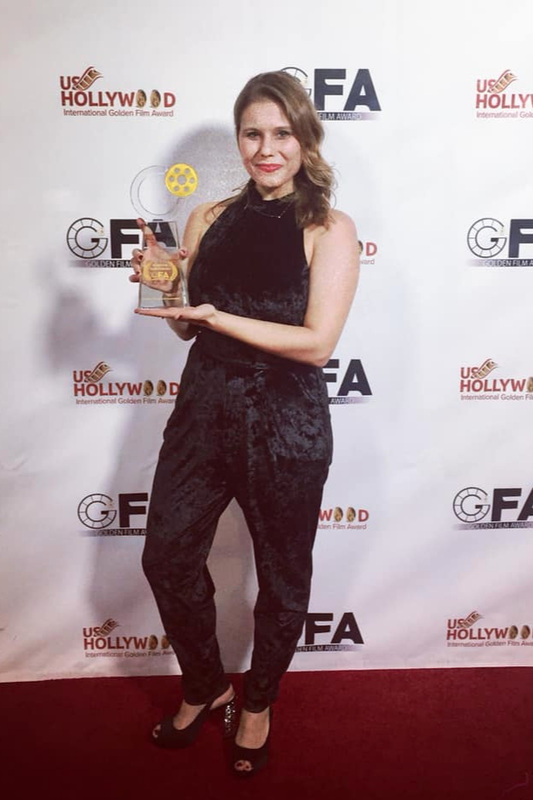 Alice is extremely honored to be the winner of “Best Up&Comer Actress” GOLDEN FILM AWARD at the US HOLLYWOOD INTERNATIONAL FILM FESTIVAL for her role of Rachel Blackwood in “Gorchlach The Legend of Cordelia” directed by Fabio Cento. Alice is honored to have been nominated BEST SUPPORTING ACTRESS and BEST UP & COMER ACTRESS at the US HOLLYWOOD INTERNATIONAL - GOLDEN FILM AWARD, for her role of Rachel Blackwood in Gorchlach. Alice will be attending the ceremony on Decemebr 12 th in LOS ANGELES. Alice’s episode of Miracle Tunes aired tonight, November 2nd, on Cartoonito! Alice’s episode of the Mickey Mouse Shorts is OUT! She plays the purple vespa: Vespina! in the opening episode of season 5! Alice is co producing and starring in the staged reading of “The Game Theory” by Elisa Casseri. First time performed in the US. Alice is performing in the GAL and DOWNSTAGE CENTRAL THEATRE’s GRAND OPENING where she collaborates as actress and collective member. - Alice will be hosting the ONIROS Film Awards Festival in Aosta., Italy . 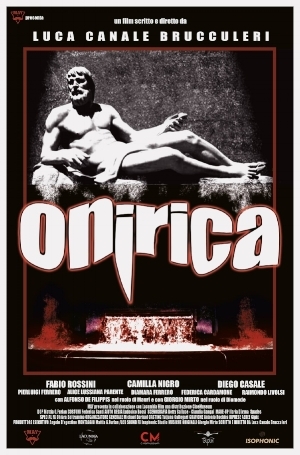 Alice is starring in "Onirica" the horror feature film inspired by Dario Argento's most famous movies. 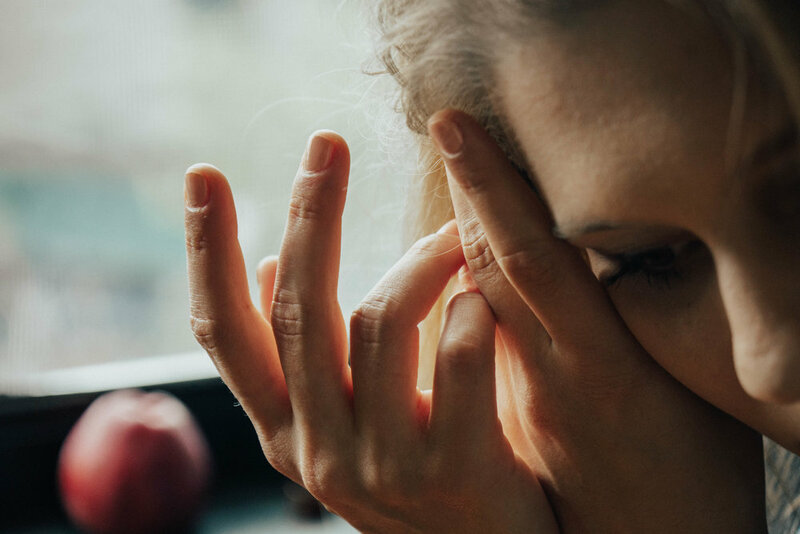 The film is directed by Luca Canale Brucculeri and will be distributed in 2019. Alice is playing Jessica and will be shooting in July in italy. 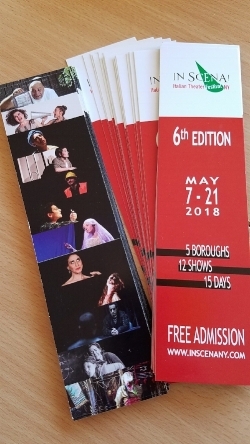 Alice will be performing two of her Shakespeare monologues for the event "Bard in The Yard" in the yard of the Downstage Central Theatre in Brooklyn. Alice will be playing the role of ISABELLA in the "2018 Mario Fratti Award for Excellence in Italian Playwriting: "The city rises" (La citta’ che sale) by Chiara Boscaro and Marco di Steano, Directed by Jenny Tibbels. Starring in A MOTHER'S HEART by Daniela Dellavalle as part of IN SCENA - Italian Theatre Festival - MADE IN NEW YORK. The event is by invitation only - Official Launch party cooming soon! Beautiful interview for LA VOCE di New York about "A mother's heart"
Second appointment with "On the italian stage" April 4th at CASA ITALIANA. Alice got nominated as BEST ACTRESS at the Rome Web Awards for her role of Rachel Blackwood in Gorchlach: The Legend of Cordelia. Here are all the nominations for Gorchlach. 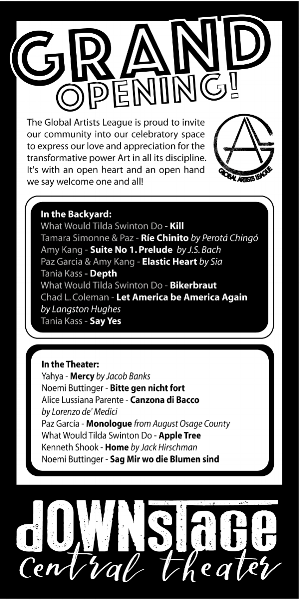 "A mother's heart" by Daniela Dellavalle will be part of in "IN SCENA - Italian Theatre Festival" in the section MADE IN NY. Alice will be playing the leading role of Mary. "GORCHLACH the Legend of Cordelia" directed by Fabio Cento, The fantasy web-series starring Alice Lussiana Parente, Federico Mariotti and Sergio Muniz is now in the official selection of the "ROME WEB AWARDS" and the "LOS ANGELES FILM AWARDS". WHEN - Saturday 03/03/18 at 7.30pm at The National Opera Center Rehearsal Hall. ALICE is now SAG - ELIGIBLE!!! 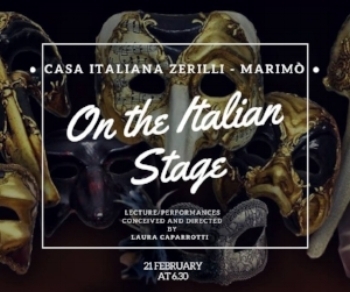 Alice is part of the reading series: "On the Italian Stage" a new series of four lectures (two in the Spring and two in the Fall) conceived and led by Laura Caparrotti that journeys into the history of Italian Theater. 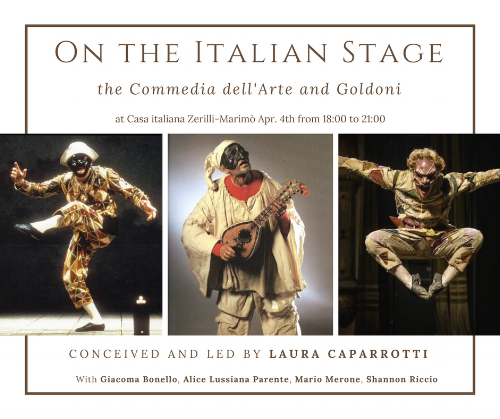 Members of Casa Italiana's Theater Company in Residence - KIT Kairos Italy Theater - and guest artists will read, act, and explain the most ancient form of life celebration. First Episode "Comedy - From Plautus to Commedia dell'Arte"
Alice is performing in the opening number of FLEA FRIDAYS on January 26th @ the Flea Theatre! Alice is thrilled to be part of the first reading of "The Horizon of the Events" by Elisa Casseri, directed by John Gould Rubin as part of the Italian Playwirght Project. 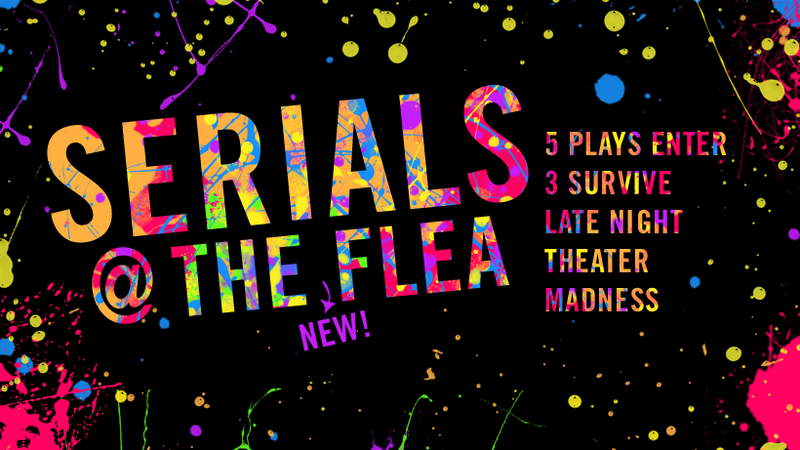 Alice will be starring again in Serials Cycle 42 at The Flea Theatre. The show runs November 30, December 1st and 2nd at 11pm @The Flea. The show runs October 19th - 20th - 21st at 11pm @ The Flea! Alice is now a proud memeber of the BATS at the FLEA THEATRE! She's honored to be part of this wonderful New York theatre company. Venue: Jewel Box Theater, 312 W. 36th Street. "IN AMORE TUTTO PUò SUCCEDERE" 2nd book of the series. Alice is Thrilled to be part of "In Scena - Italian Theatre Festival in NY"
"Gorchlach: the legend of Cordelia" the italian tv show in which Alice plays the lead role of Rachel has been AWARDED TWICE during the selection of the #CalcuttaInternationalCultFilmFestival. Alice got cast as narrator for the staged reading of The Mountain Giants, the last and unfinished Pirandello's play as part of Pirandello150 Festival at "The Alchemical Studios - Rehearsal, Photography, Performance " . Alice is now freelancing with CESD for VO and commercial department. Alice is thrilled to narrate 6 new wonderful novels for AUDIBLE.COM an AMAZON company. "The Days Before Last" is now amongst the official selection of the "Chhatrapati Shivaji International Film Festival"
Alice is starring as Mary in "A mother's heart" US premiere of the original italian play "Cuore di Mamma" by Daniela Dellavalle.